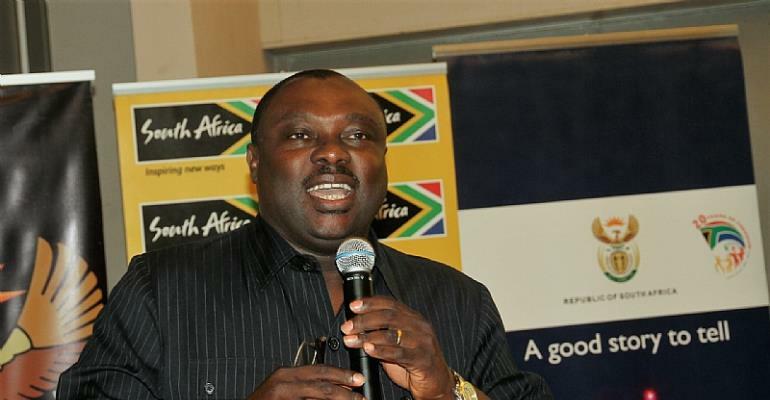 Ghana’s Deputy Minister of Trade and Industry, Mr. Robert Ahomka-Lindsay has urged Ghanaian and South African businesses, men and women, to work closely together and establish partnerships in order to take advantage of the investment and trade opportunities that the two countries provide. This is a view shared by the High Commissioner of South Africa to Ghana, Ms. Lulama Xingwana who believes there are enormous investments and trade opportunities for the two countries to explore. Addressing some business people at the Ghana-South African Business Networking Seminar that took place at the Labadi Beach Hotel, Mr. Robert Ahomka-Lindsay stressed that there is an unlimited number of opportunities in the Ghanaian economy that businesspeople from South Africa and Ghana can jointly take advantage of. “We would like to emphasize to the South Africans that Ghana is not just open for business, Ghana is doing business. There is an unlimited number of opportunities in the Ghanaian economy that businesspeople from South Africa and Ghana can jointly take advantage of. Our President has clearly expressed his ambition to make Ghana a preferred investment destination in Africa”. “In addition, the country is on a modernization and industrialization path and is in the process of implementing the One District One Factory programme. 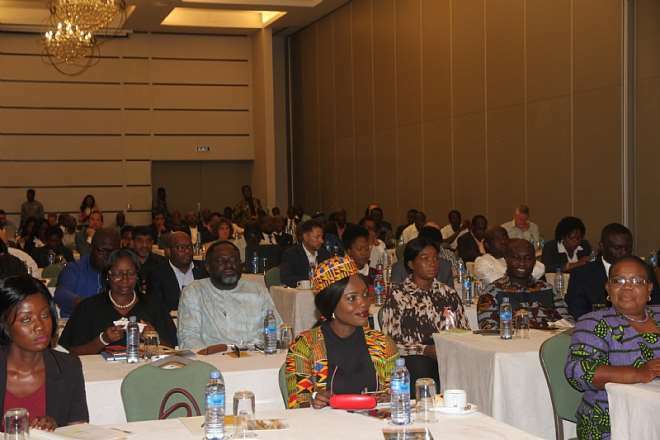 All of these offer myriad opportunities for businesspeople willing to work together and invest in various sectors of the economy,” said Ahomka-Lindsay”. He urged businesspeople to look beyond Ghana when they are investing in the country as Ghana is part of ECOWAS which provides a market of 300 + million people, continental Free Trade Agreement which offers access to a billion people, Economic Partnership Agreement with Europe which gives businesspeople access to 600 million people, and AGOA with the United States of America which gives them access to the world’s largest market for 6 000 products duty and quota-free. High Commissioner Xingwana also urged businesspeople from South Africa to work with their Ghanaian counterparts and establish partnerships in order to advantage of the cordial political relations between the two countries and seize the myriad trade and investment opportunities available for them in both countries. “I would like to assure you that the business delegation from South Africa has the government support and it is my hope that today’s engagements will be fruitful and lead to the conclusion of Memorandums of Understanding to do business, which will build the necessary confidence for bigger and more substantial investments,” said Xingwana. She encouraged South African businesses to seize opportunities that Ghana presents to South Africa for trade and investment. The net effect of such trade and investment is economic development, job creation and poverty alleviation in both countries, and that fundamentally contributes towards realizing intra-Africa trade,” stressed Xingwana. 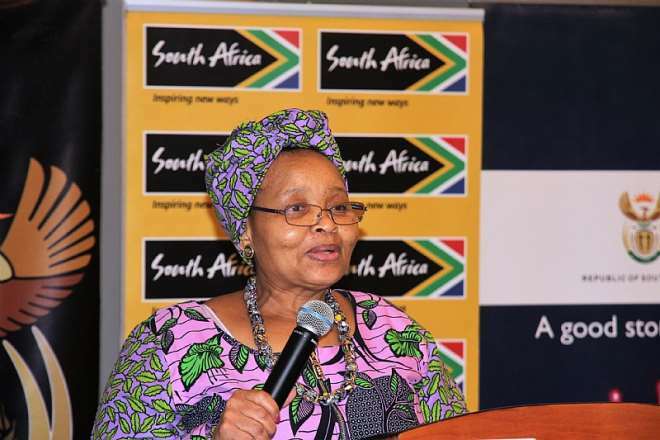 She noted that South African companies that have expanded their businesses to Ghana and contributed more than US$170 in capital investment were also a further illustration of the importance of Ghana to South Africa.